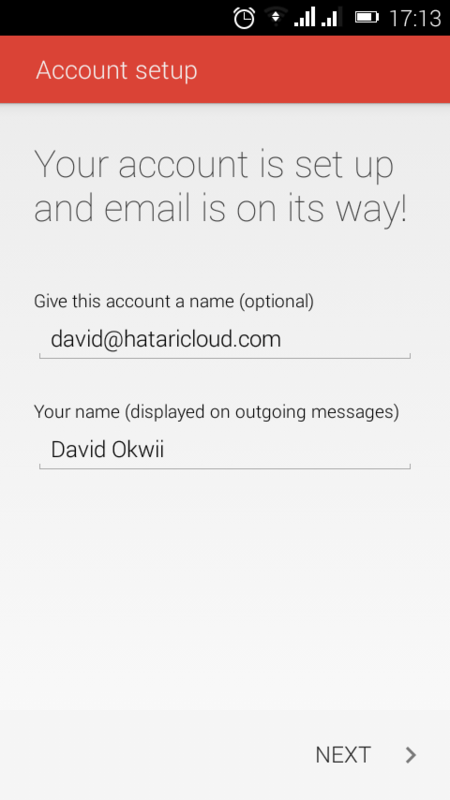 At Hataricloud, we think Email should be mobile, going with you wherever you are. 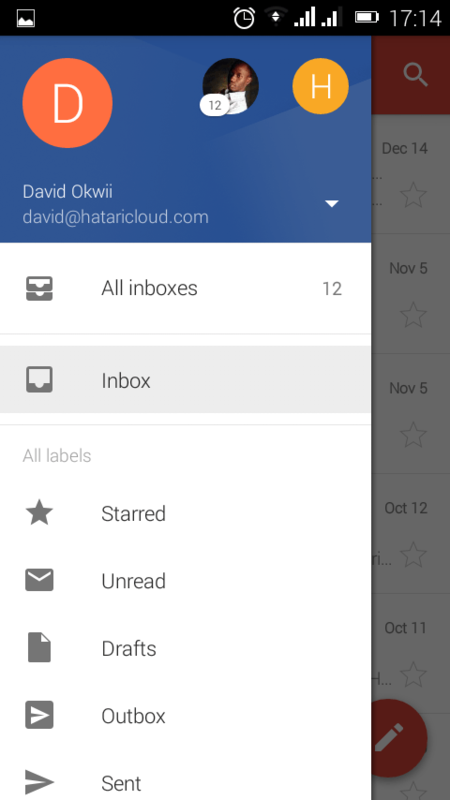 While our web mail is mobile-optimized, some users might prefer to read their co-operate email from the Gmail app which they already have installed on their phones. 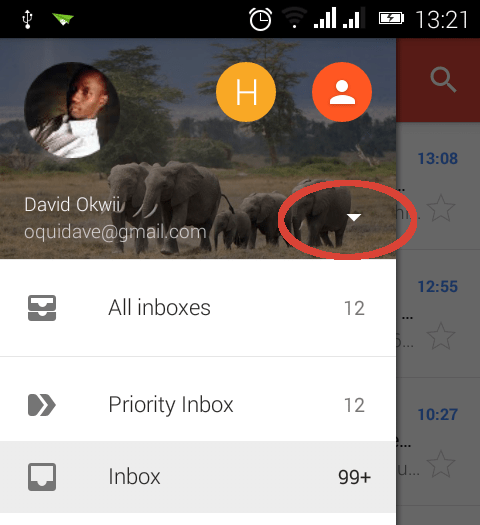 Here’s how to configure our email service with Gmail mobile app so you can read and write email on the go. On the Gmail app, top on the menu icon on the top left corner. 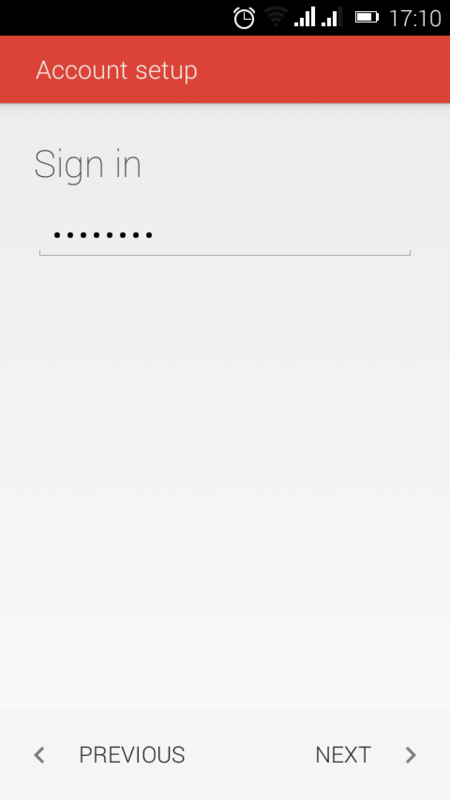 A sliding menu will show up, tap on the caret icon for more options. This will show all the current accounts setup on the Gmail app. 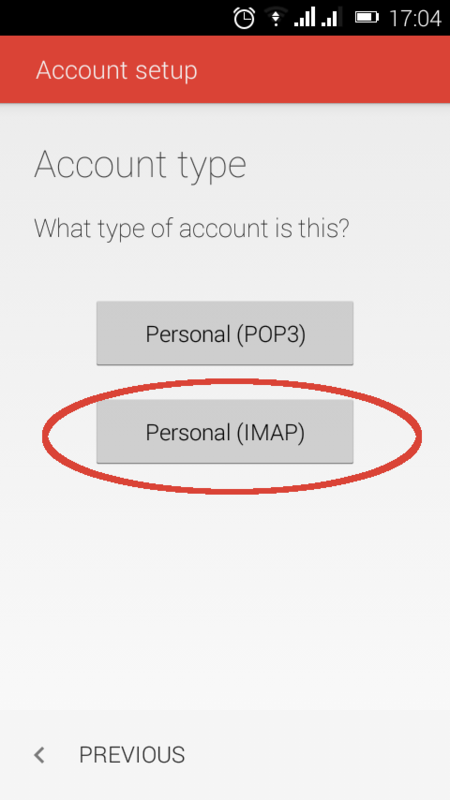 Tap on “Add account”, then select “Personal(IMAP/POP)” and tap Ok.
Next, enter your company or website email address. 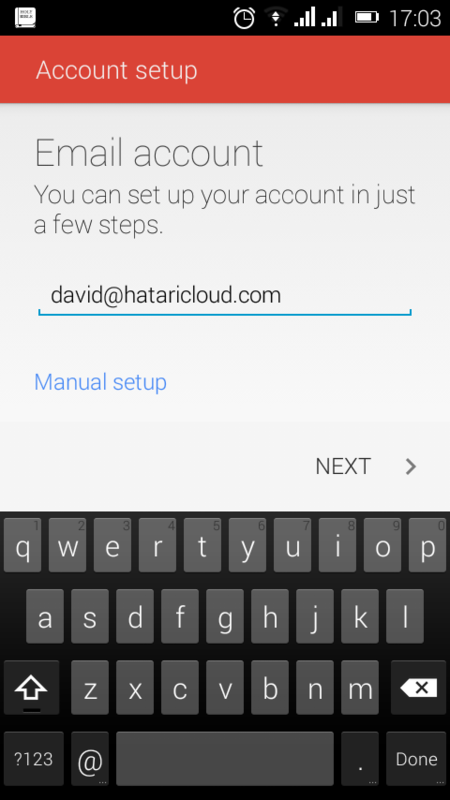 For instance if your domain is hataricloud.com and you created an email address such as david@hataricloud.com, enter your full email address here. Enter incoming server settings in this step. 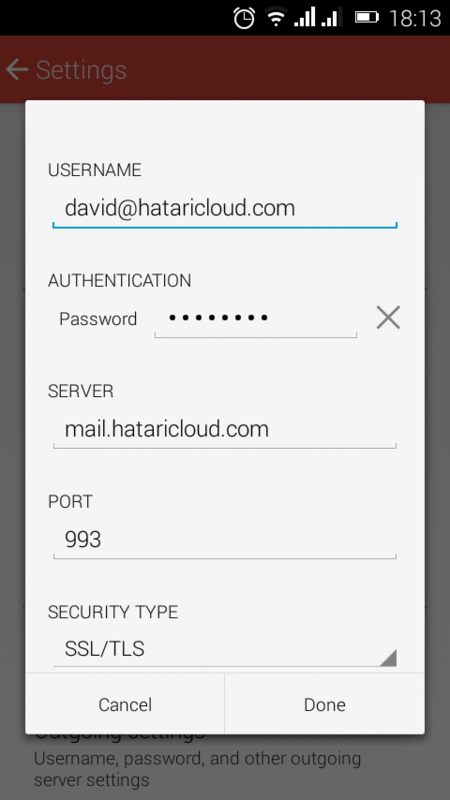 Your username should be your full email address such as david@hataricloud.com, enter your email password. 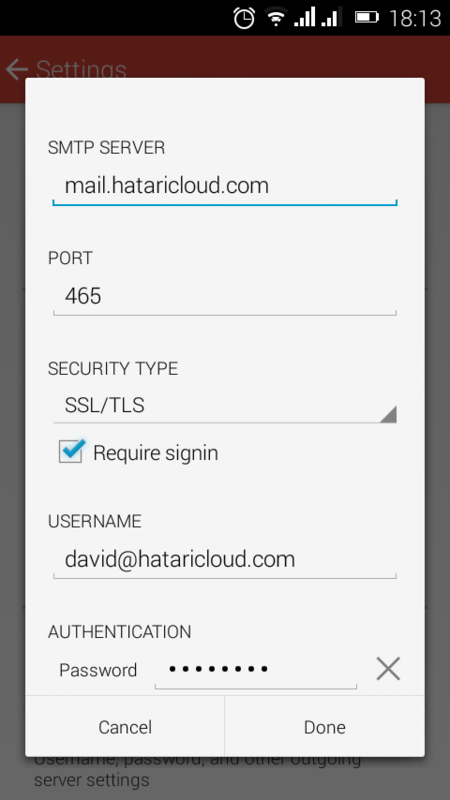 The server should be mail.hataricloud.com, port should be 993 and security type should be SSL/TLS. Again enter the smtp server which should be mail.hataricloud.com, port should be 465, security type should be SSL/TLS and the username should be your full email address as should in the screenshot above. We are almost done. Next just leave the defaults. 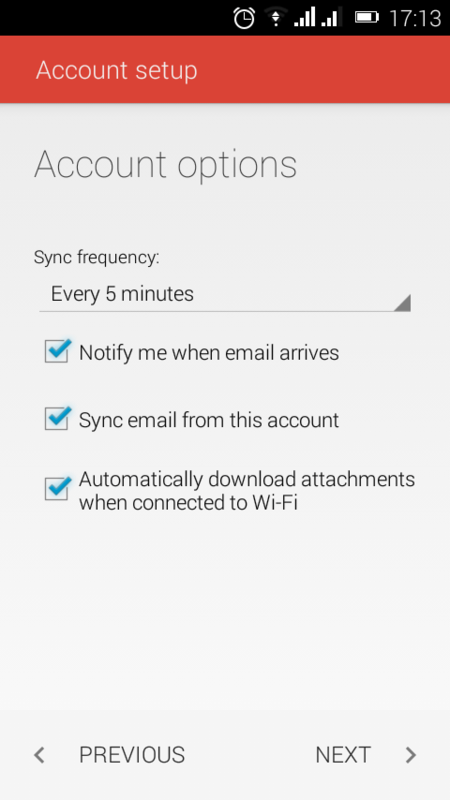 Gmail app will prefill some settings for your account such as the account name and the frequency of syncing emails. 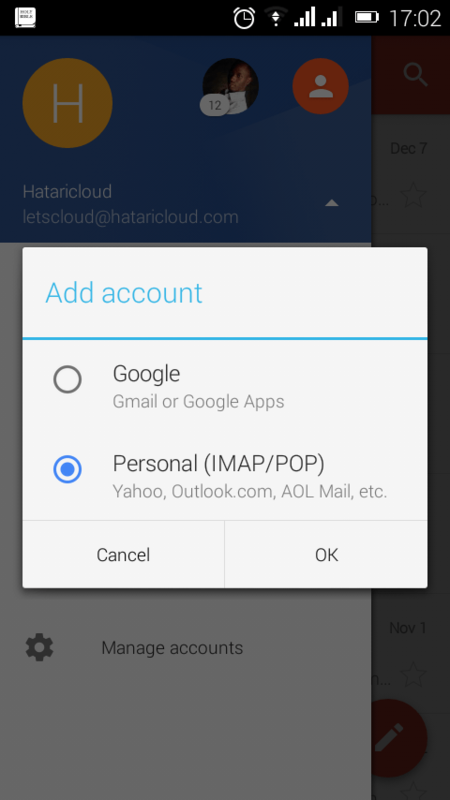 You should now receive your Hataricloud hosted email from your Gmail app on your smartphone on the go.